AEQUO is an advanced industry-focused Ukrainian law firm made up of highly qualified, internationally recommended lawyers who work proactively to help their clients reach their business goals. Backed up by solid industry expertise and a thorough understanding of business we develop innovative strategies and provide efficient solutions to the most complex and challenging matters. AEQUO has been named the Most Innovative Law Firm of the Year in Ukraine by IFLR Europe Awards 2018, Law Firm of the Year in Russia, Ukraine and the CIS by The Lawyer European Awards 2017 and one of the most innovative law firms in Europe according to the FT Innovative Lawyers 2015-2017. Confidentiality is one of the main features regularly referred to when pointing out the advantages of intentional arbitration compared to other forms of dispute resolution, like litigation. The traditional assumption is that once you have agreed to settle your dispute through arbitration, everything related to or associated with arbitration should be confidential. But where can we find a definition thereof and confirmation that there exists the necessary legal framework for international arbitration? In general, information shall be deemed confidential under Ukrainian law if individuals or legal entities, except for public authorities, limit access to such information, and if such information may only be disclosed with their consent and under their conditions, cf. Article 7 of the Law of Ukraine On Access to Public Information, Article 21 (2) of the Law of Ukraine On Information. In arbitration, confidentiality is meant to ensure that documents generated and disclosed as part of proceedings, arbitration award, arbitration hearing itself will not be subject to public view and discussion. Moreover, “obligation of confidentiality extends not only to prohibiting third parties from attending the arbitral hearing, but also to prohibiting the disclosure to third parties of hearing transcripts, as well as written pleadings and submissions in the arbitration, evidence adduced in the arbitration, material produced during disclosure and the arbitral award(s)”, cf. page 2252, Gary B. Born, International Commercial Arbitration, Volume II, Wolters Kluwer, 2009. However, unless the parties have a detailed confidentiality agreement interlinked with an arbitration clause providing for tailor-made rules for arbitration, they are in doubt as to whether the discussed obligations exist. If there is no confidentiality clause in an underlying contract or arbitration agreement, rules on confidentiality in arbitration are to be checked with relevant international treaties, applicable national law or arbitration rules. International treaties at hand which Ukraine is a party to (the 1958 New York Convention on the Recognition and Enforcement of Foreign Arbitral Awards, the 1961 European Convention on International Commercial Arbitration) are not helpful for confidentiality issues. With regard to national laws, there is no express duty of confidentiality of arbitration under Ukrainian, Austrian, English, Swedish, Swiss laws and other laws of friendly jurisdictions. Quite interestingly, Ukraine expressly recognizes the principle of confidentiality of arbitral proceedings in domestic arbitration, but not in international arbitration. In particular, under Article 32 of the Law of Ukraine On [Domestic] Arbitration Courts, the duty of confidentiality is vested in arbitrators and arbitration institutions only, though no such obligation is imposed on the parties. Only few arbitration acts provide for a strict duty of confidentiality in international arbitration, particularly the Spanish Arbitration Act obliging arbitrators, parties and arbitral institutions to honour the confidentiality of any information they get in arbitration, and the New Zealand’s Arbitration Act setting out that every arbitration agreement is deemed to provide that parties and arbitral tribunal must not disclose confidential information. However, the lack of direct provision of law does not mean that the confidentiality obligation cannot be implied by virtue of application of relevant laws, in particular, by courts. The jurisprudence relating to issue of confidentiality is rather inconsistent though. In the leading case of Ali Shipping Corporation v Shipyard Trogir  APP.L.R. 12/19, an English court held that such an obligation is implied in every arbitration agreement as “an essential corollary of the privacy of arbitration proceedings”, and that obligation applies not only to the outcome, but to all “pleadings, written submissions, and the proofs of witnesses as well as transcripts and notes of the evidence given in the arbitration”, cf. para. 35-37. By contrast, the decisions of the Australian High Court in the Esso v Plowman case and of the Swedish Supreme Court in the Bulbank case suggest that there is no generally imposed or implied duty of confidentiality for the parties bound to an arbitration agreement unless explicitly agreed with the other party. As regards arbitration rules chosen by parties to govern arbitration proceedings, they are not designed primarily to cover any and all aspects of the parties’ relations and arbitration proceedings but, in most instances, they provide room for parties and arbitrators to deal with. However, new arbitration rules are inclined to deal with the issue of confidentiality. For instance, new 2018 Arbitration Rules of the International Commercial Arbitration Court at the Ukrainian Chamber of Commerce and Industry (ICAC) provide for an express duty of confidentiality in Article 68 as follows: “[c]onfidentiality obligations apply to arbitrators, reporters, the Arbitral Tribunal-appointed experts, the ICAC and its employees, the Ukrainian Chamber of Commerce and Industry and its employees are obliged not to disclose the information that has become known to them about the cases being considered in the ICAC, which may damage the legitimate interests of the parties or the ICAC”. The parties and/or their counsels shall ensure the effective drafting of an arbitration agreement and underlying contract to secure such confidentiality as well as to address other issues related thereto (document production, witness statements, other limits of confidentiality). Certain arbitration rules provide parties with the freedom to decide on matters of confidentiality, cf. Article 68 of the 2017 ICAC Rules. In particular, parties to arbitration are free to secure their right of confidentiality by concluding a tailor-made confidentiality agreement or clause or by adopting specific regulations dealing with the issue. For instance, parties can adopt in full or in part the 2010 IBA Rules on Taking Evidence in International Arbitration (IBA Rules) to provide general rules for confidentiality protection to be afforded to evidence, a witness or expert statement or other documents submitted or produced by a party or non-party in the arbitration. Even if the parties concluded a soundly drafted confidentiality agreement and referred to national laws and arbitration rules completely covering confidentiality obligations to enjoy the benefits of confidentiality in international arbitrations, they should keep in mind critical exceptions to this confidentiality. One of the most common exceptions to a duty of confidentiality is protection of a party’s interests or requirements of law. In particular, pursuant to Article 7 of the Law of Ukraine On Access to Public Information, even if there is no consent from the parties, confidential information may nevertheless be disclosed in the interests of national security, economic well-being and human rights. The 2014 LCIA Rules clearly establish that information and documentation relevant to an arbitration case are confidential “to the extent that disclosure may be required of a party by legal duty, to protect or pursue a legal right, or to enforce or challenge an award in legal proceedings before a state court or other legal authority”, cf. Article 30.1. The mentioned IBA Rules specify that the confidentiality requirement “shall apply except and to the extent that disclosure may be required of a party to fulfill a legal duty, protect or pursue a legal right, or enforce or challenge an award in bona fide legal proceedings before a state court or other judicial authority”, cf. Article 3(13). Another common exception is disclosure of award by a winning party for the purposes of its enforcement. 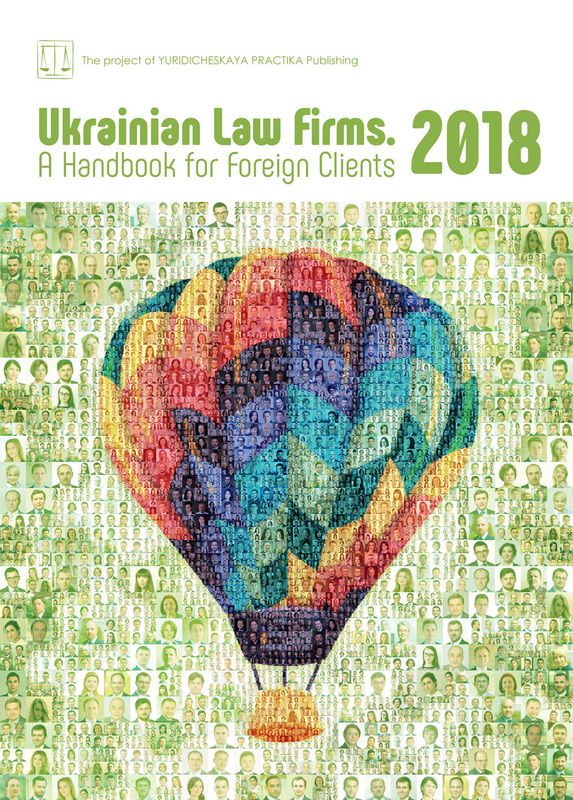 Thus, Ukrainian procedural law provides that cases on enforcement of, and setting aside, of arbitral awards in Ukraine are considered in open court. Among other documents required for filing with a court in order to get an arbitral award enforced in Ukraine, the winning party must provide the award itself. Texts of Ukrainian court decisions are available in the public register unless the case is considered in camera. Upon the request of a party, the public can be excluded and a hearing on enforcement of a foreign arbitral award may be held in camera if a legitimate interest in doing so can be demonstrated, e.g. that open court proceedings will result in a disclosure of secret or other information protected by the law. This is not easy, which is also supported by the fact that almost all cases on recognition and enforcement of foreign arbitral awards in Ukraine are held in open court. According to Friedrich Nietzsche, “[w]hoever deliberately attempts to insure confidentiality with another person is usually in doubt as to whether he inspires that person’s confidence in him”. One who is sure that he inspires confidence attaches little importance to confidentiality.” Thus, while choosing the confidentiality advantage in arbitration from other means of dispute resolution, the parties should remember that confidentiality faces many risks and is not absolute. Confidentiality gains another meaning “inside” arbitration proceedings, and it is up to the parties to decide on the scope and level of confidentiality. In fact, confidentiality can be used as a powerful tool in arbitration proceedings, which allows the parties to regulate the extent of disclosure and protection of documents submitted or produced in the arbitration. And, finally, parties willing to use the advantages of confidentiality “inside” the arbitration should note that arbitral tribunals usually possess enough discretion to decide whether the confidentiality grounds are compelling. *This publication is based upon Pavlo Byelousov’s speech and presentation “Lost in Confidentiality: How much can you keep under the carpet?” made at the 2017 Kyiv Arbitration Days.